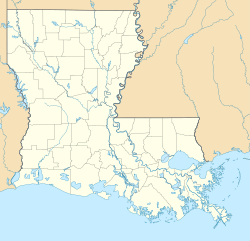 Starks is an unincorporated community and census-designated place (CDP) in Calcasieu Parish, Louisiana, United States. As of the 2010 census it had a population of 664. It is located approximately 30 miles (48 km) northwest of Lake Charles and about 5 miles (8 km) from the Texas and Louisiana border. Starks is known for its annual Mayhaw Festival to celebrate the fruit that grows in the bayous along the Texas/Louisiana border. ^ "Geographic Identifiers: 2010 Demographic Profile Data (G001): Starks CDP, Louisiana". U.S. Census Bureau, American Factfinder. Retrieved August 15, 2014. This page was last edited on 15 January 2018, at 22:33 (UTC).